Delegates attending the upcoming Betting on Sports America conference (23-25 April) will be given the chance to learn about how affiliate marketing will shape up in the newly open US market as part of the Affiliate Marketing Masterclass on 24 April. 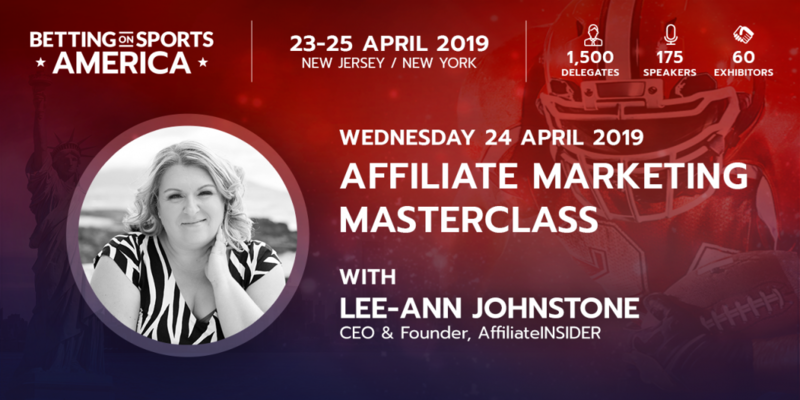 The Masterclass is free to attend and delivered in partnership with AffiliateINSIDER through the organisation’s Founder and CEO Lee-Ann Johnstone, who will be teaching key strategies for creating successful affiliate programs. It will cover key subjects such as understanding how affiliate marketing fits in with your acquisition strategy and developing effective affiliate marketing strategies to support revenue growth in a regulated environment. 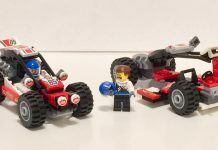 ‘Affiliate marketing – the then and now’ looking at the evolution and development of affiliate marketing, as well as the best ways that operators can cooperate with affiliates. An expert lead forum discussion with digital marketing experts which will have much more of a focus upon the US market, analysing the value that affiliates will hold in the acquisition funnel for USA marketers to benefit from. Identifying what the vital building blocks are for a program to be successful including core exercises for brands to expand their program reach. 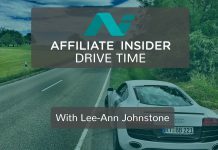 Johnstone, who has over two decades of digital marketing and affiliate experience in the industry, is considered an affiliate expert having spent her career building acquisition programs for blue chip brands such as Party Gaming, Neteller, Skrill, & Income Access (The Paysafe Group). She commented: “If you want to understand how affiliate marketing will help your business reach more new customers you’ll want to be in the Affiliate Masterclass at Betting on Sports America. We’ll cover everything from building a successful strategy to understanding exactly how to make your performance marketing strategy work in a regulated climate. The Masterclass will offer attendees the chance to learn about and understand the affiliate sector, with discussions on how to augment an acquisition strategy and employ fundamental building blocks to create fast tracked program delivery. Spanning two states, Betting on Sports America is the largest dedicated sports betting event in the U.S. New Jersey will host the main conference at the Meadowlands Exposition Center, while the opening and closing networking parties will be held in Manhattan, New York. 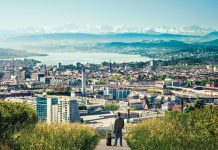 Marcos Oliviera (Clever Advertising), Steve Barman (MoneyLine Sports Group), Chris Capra (William Hill), Johan Svensson (Bethard Group & Raketech Group) and Marc Pedersen (Better Collective) will be looking at potential regulations facing affiliates and operators, and the impact these may have. Betting on Sports America, held 23-25 April in New Jersey, is the largest dedicated sports betting conference & exhibition in the US. The conference boasts 175 leading industry speakers across 40 sessions, with 60 exhibitors displaying their latest products on the 61,000 sq ft exhibition floor at the Meadowlands Exposition Center. Delegates will be treated to world class hospitality with plenty of business and networking opportunities in New Jersey (Meadowlands Racetrack) and New York (40/40 Club and Sky Room Rooftop Bar). For more information, please visit the Betting on Sports America website. Income Access (The Paysafe Group).